Whoosh! Your new parking service by mobile phone ! Whoosh! allows you to easily pay for parking remotely. "A parking meter in my pocket !" - So easy when I don't have enough coins or when my parking card is empty ! - It's simple, quick and easy ! - No risk of getting a fine, the app will notify you when your parking time is about to expire. - Running out of time ? Simply extend your parking time from the app. - Payment is totally secured ! 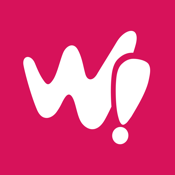 Registration to Whoosh is free : just create your account via the app or through the my.whooshstore.com website. Enter your license plate number and your bank card information. Once your account is created, you can park and pay for your parking time in any city utilizing the Whoosh service. Caution : Whoosh! is not available everywhere, please consult the list of eligible cities on our website.